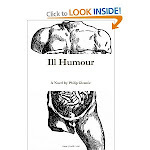 Texts & Pleasure: Congratulations to My Favourite Living Author, Hilary Mantel! Congratulations to My Favourite Living Author, Hilary Mantel! I’d like to extend my ecstatic (though belated) congratulations to Hilary Mantel for winning her second Man Booker Prize for her novel, Bring Up The Bodies. 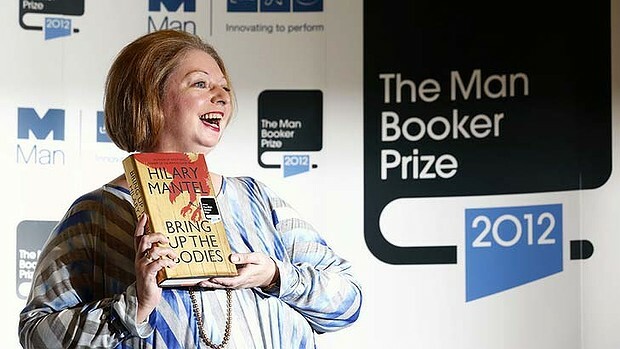 It’s wonderful that Mantel has become the first woman to win this extremely prestigious prize twice; but what I find really amazing is the fact that she managed to win her second Booker for a sequel to Wolf Hall, which (wait for it…) also won the Booker Prize. Just so we’re clear here, the Booker is a really freaking difficult thing to win. That said, I haven't encountered any author who deserves this kind of distinction more than Mantel (at least not any living author). Simply put, she’s my fave, and I can’t name anyone who even approaches the effect of awe and appreciation that her craftsmanship consistently inspires in me. And here’s the funny thing: my favourite book by her is not Wolf Hall or Bring Up The Bodies, but her French Revolution-inspired A Place of Greater Safety. But I’ll save that discussion for another post. Let’s stick to Bring Up The Bodies. Later, Henry will say, ‘Your girls flew well today.’ The hawk Anne Cromwell bounces on the glove of Rafe Sadler, who rides by the king in easy conversation. They are tired; the sun is declining, and they ride back to Wolf Hall with the reins slack on the necks of their mounts. Tomorrow his wife and two sisters will go out. These dead women, their bones long sunk in London clay, are now transmigrated. Weightless, they glide on the upper currents of the air. They pity no one. They answer to no one. Their lives are simple. When they look down they see nothing but their prey, and the borrowed plumes of the hunters: they see a flittering, flinching universe, a universe filled with their dinner. Honestly, I don’t believe in the universal validity of aesthetic judgments, but if someone tried to tell me that this wasn’t good writing, I’d almost feel compelled to tell that person that she/he was objectively wrong. The music of Mantel’s words! My God! : “the sigh and riffle of pinion […]” “These dead women, their bones long sunk in London clay […]” Mantel has an almost inexplicable balance of tone and rhythm, always pushing the limits of diction and imagery without ever, ever making that microscopic extra step into the excessiveness that betrays the amateur or hack. In A Place of Greater Safety, Mantel showed us that she’s almost peerless when it comes to fleshing out full, compelling characters who are rich and warm-blooded even when (and perhaps mostly when) they’re austere and cold. In Wolf Hall, she took this gift for characterization and added to it an unmistakable sense of tone and atmosphere, with all of the poetic brilliance of an Ondaatje combined with an economy of expression similar to Faulkner. So what does Bring Up The Bodies add to Mantel’s artistic achievements? Well, in short, the book could’ve added nothing and still been Booker-worthy. Nonetheless, Bodies shows us a new plateau of excellence in Mantel’s writing, and this comes in the area of focalization. In short, focalization refers to the way that a book’s narration selects or restricts the information it presents to the reader, even when the narrator is omniscient. The concept is similar to “perspective,” but implies a much greater level of fluidity and flexibility. For example, the very first line of Bring Up The Bodies reads, “His children drop from the sky.” From the subtitle “Falcons,” you might already be able to assume that “children” here refers to birds. But Mantel’s vagueness sets a dreamlike tone for the entire passage. The focalization of this passage, moreover, comes to us through the protagonist Thomas Cromwell, who is staring up at the falcons. In the second sentence, we learn that Cromwell (or the unnamed watcher) is sitting on horseback. But then boom, the second half of line two reads, “acres of England stretching out behind him.” Now this clause could imply that Cromwell is so aware of his surroundings that he knows what’s directly behind him. But it also introduces a fluidity between Cromwell’s perspective and a sort of “camera eye” that Mantel uses throughout the book. This “camera eye” shouldn’t be confused with omniscient narration, because unlike omniscient narration, the camera eye always takes into account the physical angle from which an image or scene in the book is being looked at. For me, Mantel’s focalization is the key ingredient to how she makes Bring Up The Bodies so ridiculously engrossing. In the world of this novel, people’s lives are decided by a silent exchange of glances at the dinner table, a handshake not offered, and you cannot convey the tension and significance of moments like these without an unbelievable level of control over focalization. Focalization is actually one of the most difficult literary techniques to master, to such an extent that creative writing instructors often tell their students to avoid third-person narration altogether until these students have a few publications under their belts. This is because focalization is a very, very easy thing to screw up. The writer forgets about the book's camera eye for one sentence, for one word, and the entire structure of a scene can collapse. Writing in first-person narration, on the other hand, is generally the safer bet for aspiring writers, since it pins you to one person’s perspective and allows you (for the most part) to avoid the harrowing demands of focalization that have only been truly mastered by writers like George Eliot, Joseph Conrad, and now, Hilary Mantel. Mantel has already announced her intent to write a third book in the Wolf Hall (Thomas Cromwell) trilogy, and I can’t wait to see what new area of writing she masters for that one. If you find yourself sitting around and waiting for this third book to come out, though, please treat yourself and read A Place of Greater Safety. And for further reading, please be sure to check out this fantastic piece on Mantel by Larissa MacFarquhar in The New Yorker.